A lot has changed in the 50 years since Steve McQueen slid and jumped a 390 Mustang into movie history, including a gradual erosion of the social acceptability of fast, loud cars. 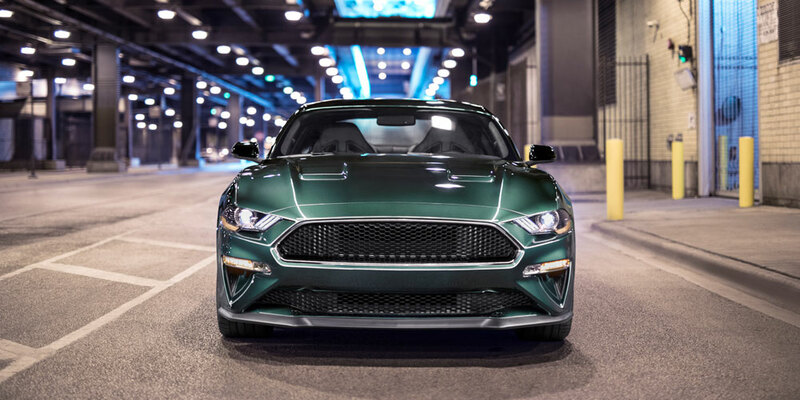 This Ford, the third to pay homage to Bullitt, does an absolutely terrific job celebrating the joys of such machines and the thrills they make possible. 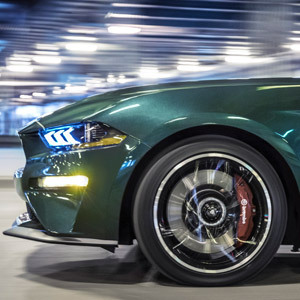 The 2019 Ford Mustang Bullitt succeeds in engaging people of all demographics. Classic hot-rodding techniques like increased flow of gases into and out of its bigger-displacement, higher-compression-ratio Coyote V8 result in outputs of 480hp and 420lb-ft, making it the most powerful Mustang cross-plane engine yet. Spent gases flow through the audiophile-grade, active valve exhaust system, creating sounds so symphonic that several people commented in traffic on how glorious the noise was. Likewise, I noticed at least a dozen people stop to walk around the car when it was parked at various locals, just to take in all the Bullitt-specific detailing like the de-badged nose and Dark Highland Green paint job. To me, this encapsulates the joy of the Bullitt experience: it’s a combination of the intoxicating vocals, burgeoning acceleration and (almost) discreet good looks. The Bullitt builds on the fine work Ford has done turning the Mustang into a true driver’s tool, with accurate steering, a cue ball-topped manual that is sweet to stir through its six ratios (with computer-controlled rev matching that overcomes pedal placement which makes heal-toe downshifts almost impossible for those of us with inflexible ankles) and real stick in the corners—almost too much to slide the Mustang around—and stout, Brembo brakes. 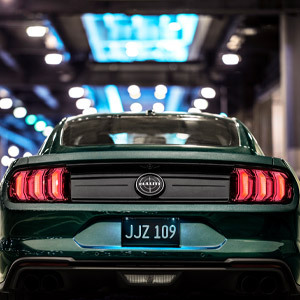 The Bullitt has more power (480hp) and torque (420lb-ft) than the regular Mustang GT. In this regard it follows in the tire tracks of the previous two Bullitt special editions: the 2001, with a then-whopping 265hp; and the 2008- 09, with 315. This 50th anniversary homage, with “Coyote” V8 is the most powerful, normally-aspirated Mustang yet, aside from the GT350 track car. To get to almost 100 horses per liter without forced induction required an increase in displacement from 4,951 to 5,038cc, a bump in compression ratio to 12.0:1, and port and direct fuel injection. 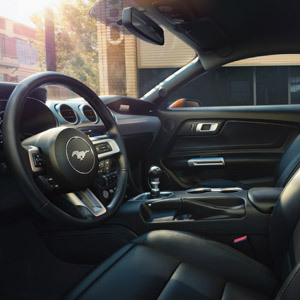 The GT350 “Voodoo” motor contributed its higher rise, longer intake runner-equipped manifold, 87mm throttle body and more open air filter. All this fires the Bullitt past 60 a tenth or two faster than the GT. The Bullitt is also refined, rides well, thanks to adjustable magnetic damping, and is comfortable inside. About the only thing missing is the GT model’s stiffer Performance Package suspension, which actually rides and handles even better.